This Acoustic Audio by Goldwood portable Bluetooth LED speaker with rechargeable battery lets you take your music anywhere. 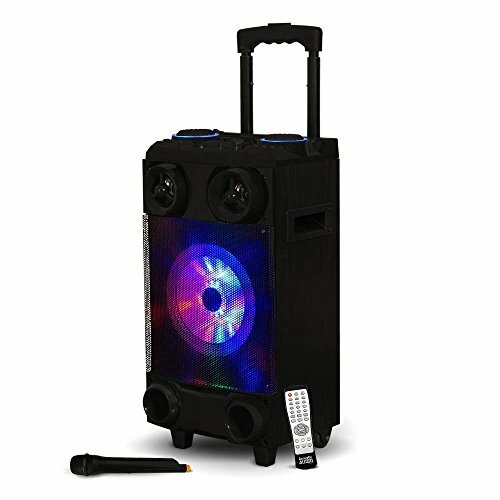 This speaker Features a contemporary design, Bluetooth, multi-pattern LED light display, rechargeable battery and wireless mic capability. Perfect for the beach, camping, parties, hiking or tailgating.